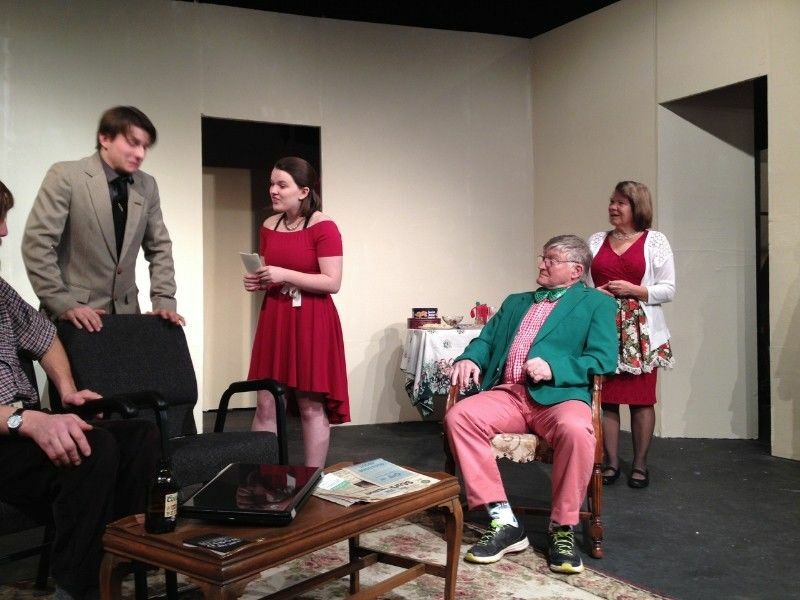 WASHBURN COUNTY — Theatre in the Woods at the Quam Memorial Theater in Shell Lake presents: "A NICE FAMILY CHRISTMAS". This modern family comedy tells the story of a young journalist on the brink of being fired, on Christmas eve. He is given one last chance to write a story about a typical family Christmas - his family's Christmas. Returning home to his recently widowed mother, a "colorful" uncle, scandalous grandmother, neurotic siblings and their significant others ~ who provide no shortage of material. When family members find out personal information is being shared, the fruitcake hits the fan! The question is will the magic of Christmas bring this family back together again? Cast list: Troy Benham, Kathy Brihn, Pat Shifferd, Dan Hubatch, Keolani Baumgart, Del Bakkum, Payton Anderson. Show dates: November 30, December 1,2,6,7,8,9. Evening shows at 7:00 pm, Sunday matinees only at 2:00 pm. All seats $10 reserved, walk-in's seated if available. Mature audience due to adult language, themes, suggestive material. Tickets can be reserved at www.titw.org"reservations" or by calling 715-468-4387. Concessions and beverages will be available for purchase. Thank you for supporting Performing Arts in Northern Wisconsin!